We live in a world that makes it easy to look over the fence—and even encourages it. Facebook creates the idea of keeping up with friends, but what they post may not always be an accurate reflection of what’s going on in their lives. Celebrity gossip takes over the news, as we obsess about who is with who and which star is hottest. Movies can cause comparisons between our lives and those shown on screen, especially “chick flicks,” as we watch a hot guy on screen wooing a cute girl (and then the movie ends before real life begins for the couple). Such comparisons only hurt relationships, however. We don’t see everything that the other couple is dealing with. Maybe she’s looking enviously at your relationship, wishing her husband were more like yours. (It won’t help her either.) What we need to do is to accept our husbands for who they are and be grateful for what they do do for us. I raised sheep through my teen years. One day, I went out to check on my small flock and found that one of my lambs had gotten her head stuck in the fence. We had wire fencing with narrower squares closer to the bottom of the fence and wider squares towards the top. The sheep often wiggled their heads through the wire and pushed to get at the grass on the other side, leaving bits of wool stuck in the wire and making the fence bulge out at a certain height. This time, however, the lamb had stuck her head through a too-small hole and couldn’t get herself back again. From the way the grass was packed down underneath her feet, I guessed she’d been snacking late at night and had thus spent a long night there by the fence, waiting for me to come rescue her. Of course, there was plenty of grass inside the small pasture for her to eat, and if she waited for me, I’d take her out to picket to graze on the fresh green grass safely. That little story always reminds me of the old proverb that “the grass is greener on the other side of the fence.” That’s true in so many areas of our lives, and even in marriage. Too often, we can get caught comparing our husbands to other husbands (even to imaginary men!). Maybe you notice that the neighbour always sweeps the snow off his wife’s car so she doesn’t have to, and you wish your husband would do that too. Or maybe a friend mentions what her husband did for their anniversary, and you wish your husband would even remember yours. 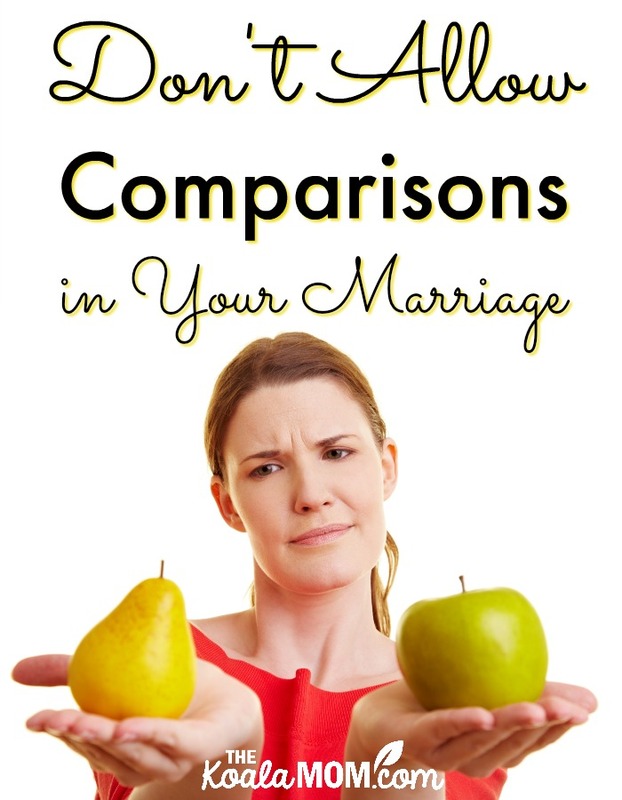 As wives, then, we must guard our hearts against such comparisons and love the husbands we have. Remember the things that drew you together when you were dating and make a list of the good things he does now. The grass might look greener on the other side of the fence, but once you get over there, it’s probably just the same. So stay where you are and count your blessings, unlike my silly little lamb who got her head stuck where it shouldn’t have been. Will you commit with me to no comparisons between your husband and other men?